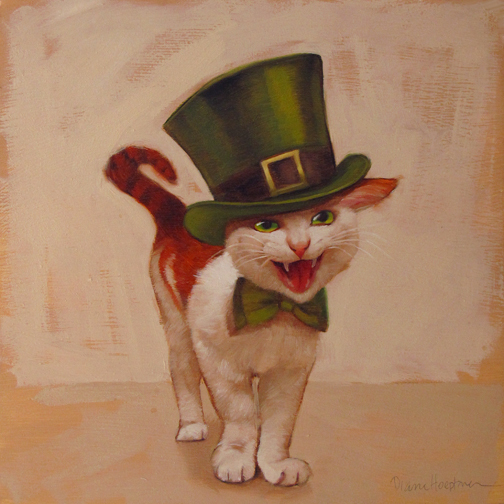 "St Catrick" was the first one to post and it remains one of my favorites. 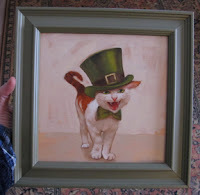 How 'bout HALF OFF on all remaining Holiday Cat paintings? (Update: Sorry and thank you, the Holidays Cats are sold out.) That's a bit 'o fun on ST Patrick's day, check 'em out, here. 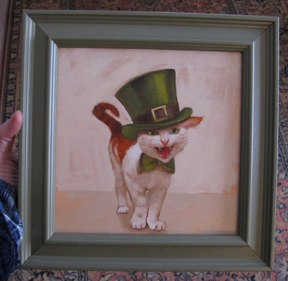 "St Catrick" includes a solid wood frame. Cheers!